#10 – During the last podcast you learned exactly how to hire top real estate agents to list your investment property for a flat fee. Today, you will know how to implement 3 ways to get buyers real estate agents knocking down your door with buyers for your deals. You will understand the buyers agent role and how to get the buyers Realtor motivated to bring you their buyers for your real estate investment deals. 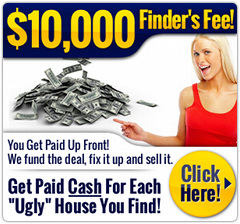 #8 – The Flip Guys are famous because they give you the money for your real estate investing deals. In this podcast Peter Conti and Jerry Norton share the secret that causes wealthy investors to call offering their money to invest in deals. #6 – Listen in as The Flip Guys show you how to make money with big commercial real estate deals without owning or managing anything. It’s called a “Commercial Back Flip” and you can do this whether you’ve done a real estate investing deal before or not. #5 – Why sit around looking for fix and flip loans when The Flip Guys can show you quick ways to make cash with Quick Cash Flips? No owning, No fixing, you don’t even need your own money to use this “Hands Off Real Estate Investing Strategy”. AND you can flip this house and make big profits without owning or manage any real estate ever!